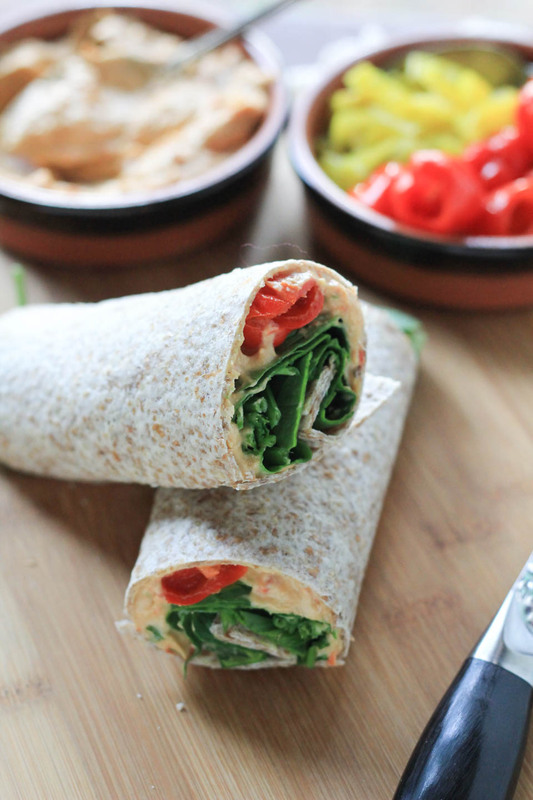 I often share the food I eat, but a bit more elaborate than a simple wrap. I was chatting with a reader and they asked if I would share a recipe for my simple lunches that I make when I am working from home. 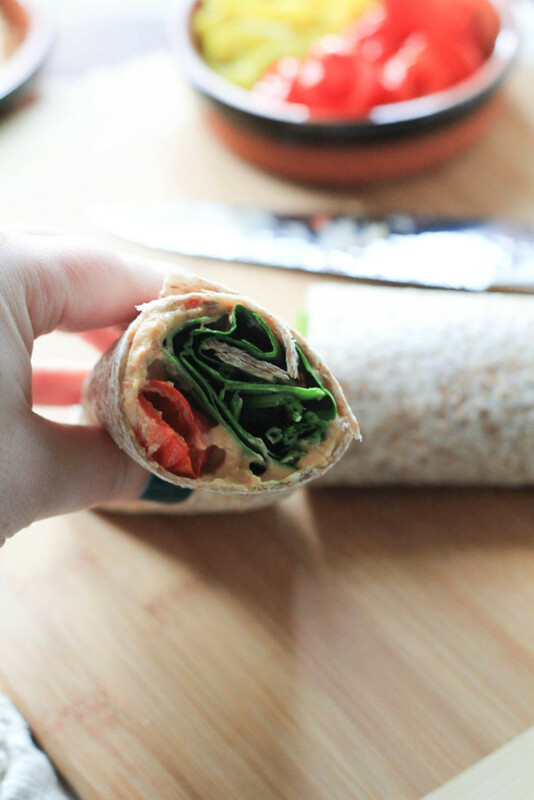 I make a lot of soups, salads with grains, sandwiches, and wraps like these. If I’m not in the mood for one of my leftovers soups and salads, I’ll put a wrap together in minutes. I hadn’t thought to share these more simple recipes, but when she said it she doesn’t think of these types of meals for lunch, I thought there are probably a lot of people that need help with easy stuff like this. It really is simple too, and most of these ingredients we always have around in our fridge. Depending on the season for me, I’ll add different vegetables as well. But something I try to have on hand are whole wheat sprouted tortillas and hummus, that is an excellent start to a filing and healthful lunch. Some other ingredients I pretty much always have on hand is lunch meat like turkey, for sure some greens, some form of pickled peppers, and parsley. I use parsley to add fresh herbs to almost every soup or salad I make. 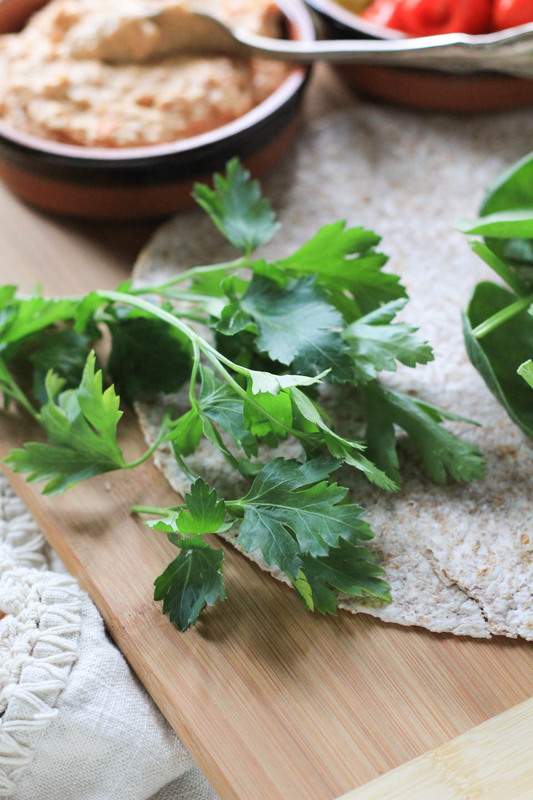 It is very good for our immunity, it has vitamin C, B, and A, and I love the fresh burst of herb in this wrap. Literally in minutes I put together a good choice for myself, and it satiates me for a good while. 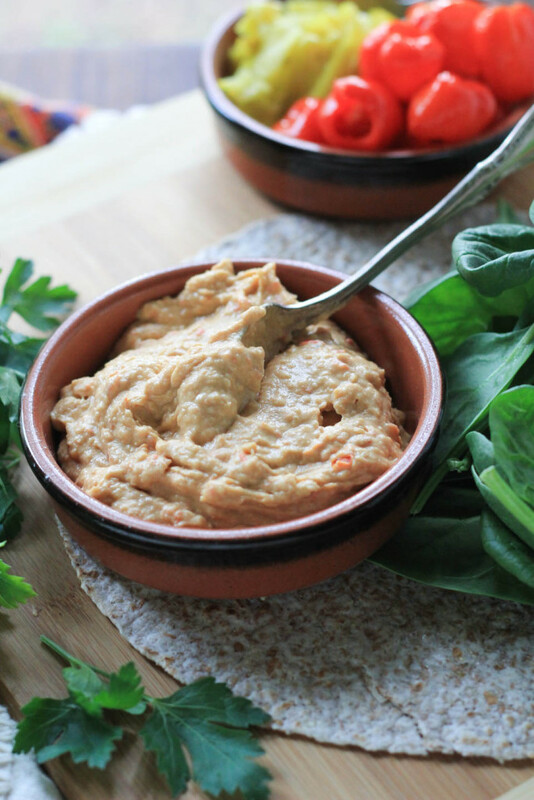 Place hummus on wrap, then add all ingredients piled on top of hummus. Wrap tightly, cut in 1/2 and enjoy immediately. I sometimes put the hummus on the wrap and microwave it for 30 seconds to warm it up. Then add the rest of the ingredients. You can add different nutritional foods to this to tailor it to your taste and health needs. 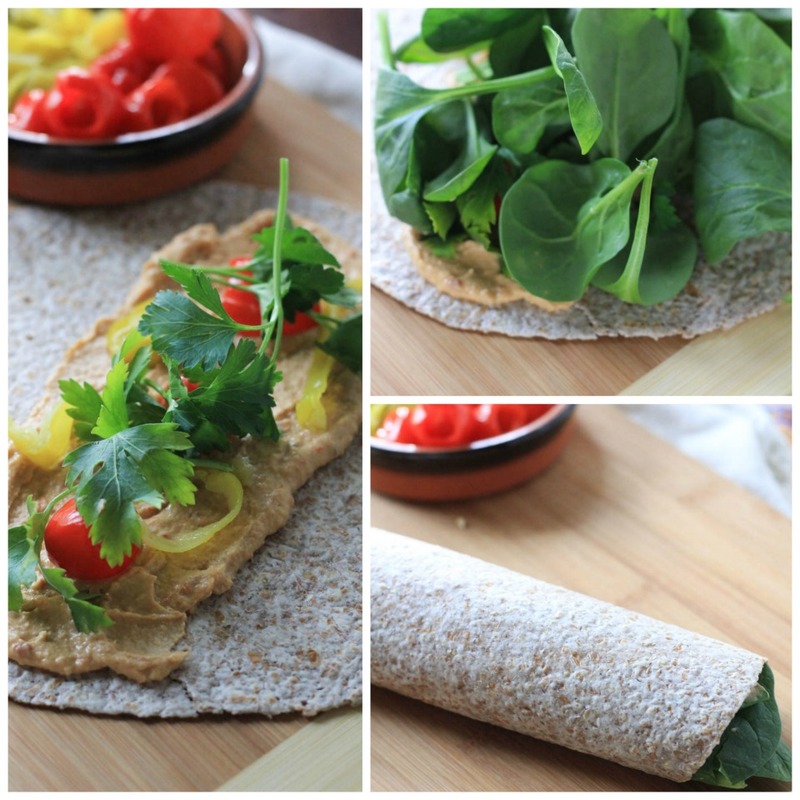 Olive oil, fresh lemon juice, and other vegetables can be great additions to this wrap.